This safari starts in Uganda through Kisoro up to Congo. 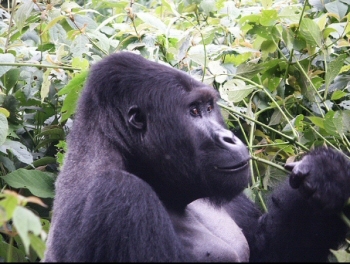 The Virunga Park comprises of 5 gorilla groups. About 20 people can track in Djomba while more 20 people to Bukima. For that reason, more than 40 people can actually track gorillas each day within Congo. Visitors that track gorillas within Congo will need to spend a night within Kisoro. Approved Visas will be received the day before you travel. The following day you will set off for this life memorable adventure into Congo. After an early breakfast you will drive back to Kampala Having a stop in Mbarara to have lunch. you will arrive in the late afternoon and be transferred to the airport for your departure flight.